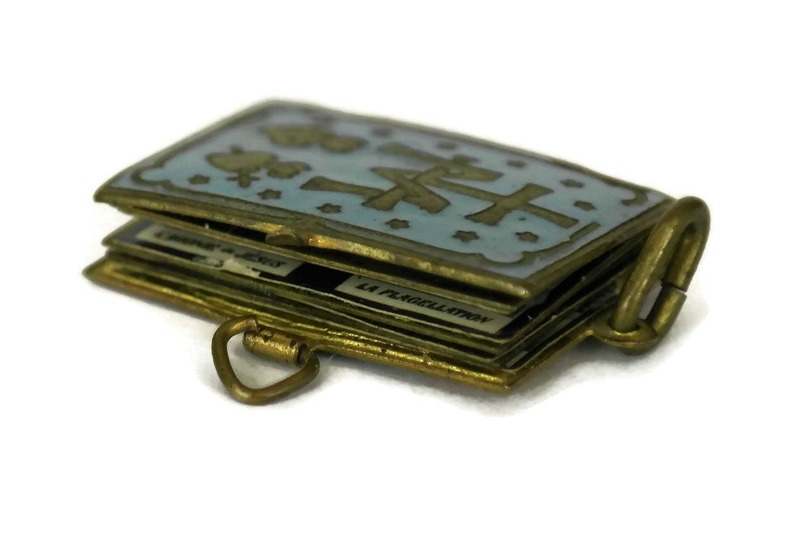 RESERVED for C. Antique Bible Locket. 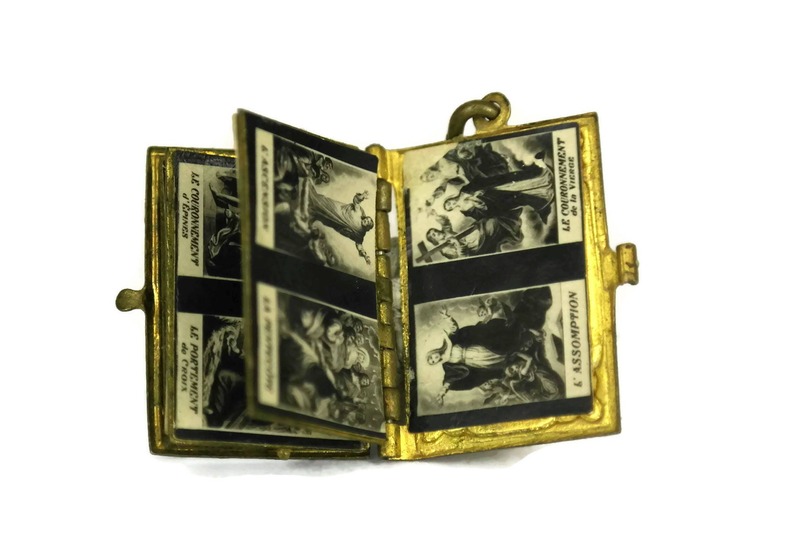 Religious Miniature Book Pendant with Pictures of the Life of Jesus and Virgin Mary. French Catholic. 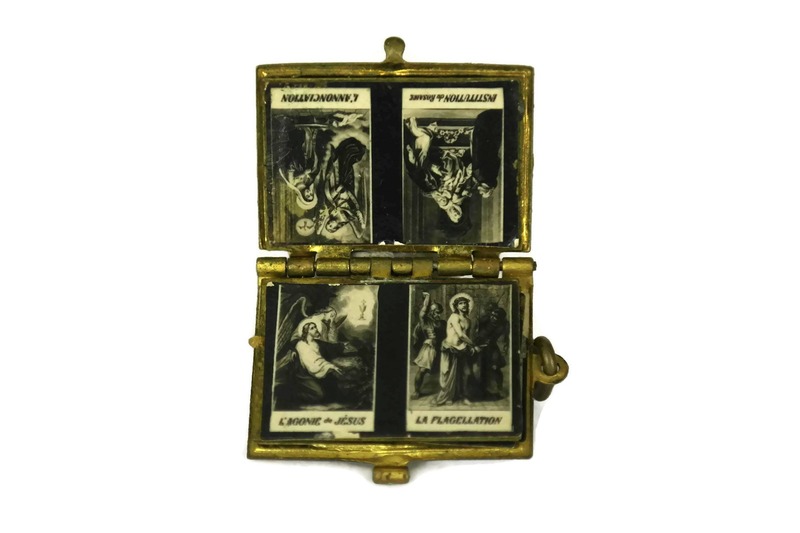 A rare antique Bible shaped locket manufactured in France in the 19th century. 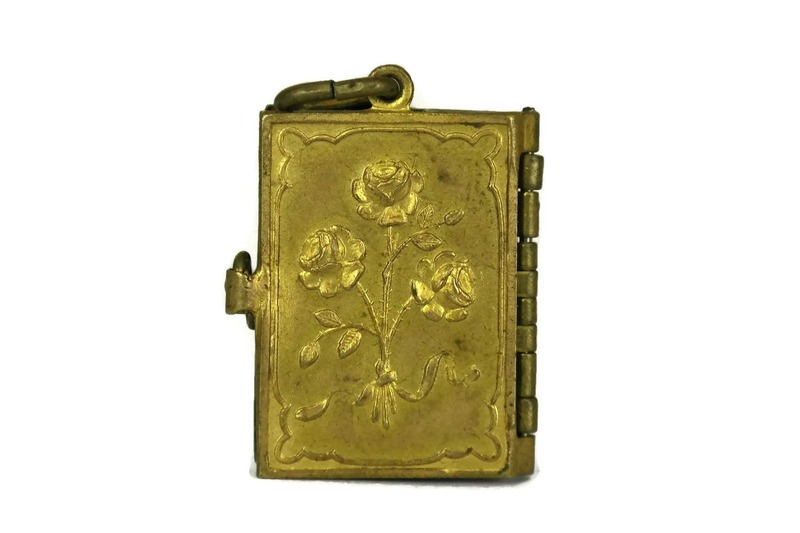 The miniature book pendant has been made from gilded brass. 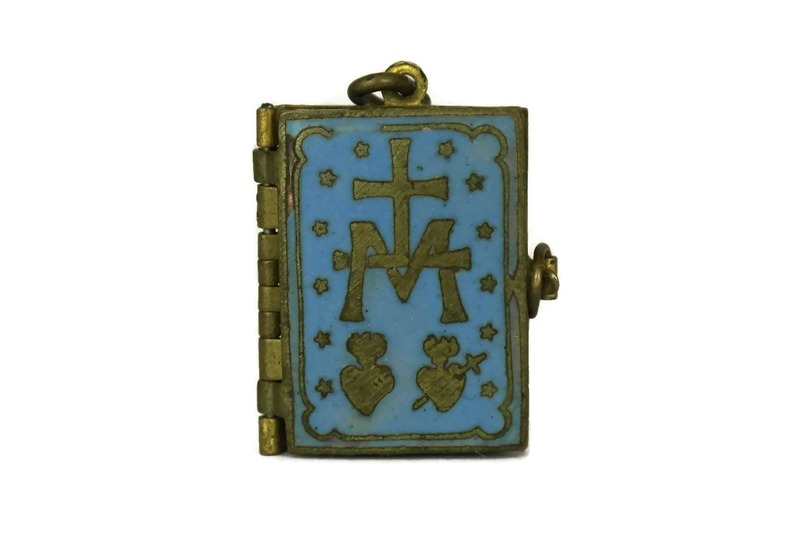 The front cover has an engraved decoration coated with rich blue enamel. It features a cross, monogram M for Mary, two flaming hearts and stars. The back cover has a lovely image of roses. 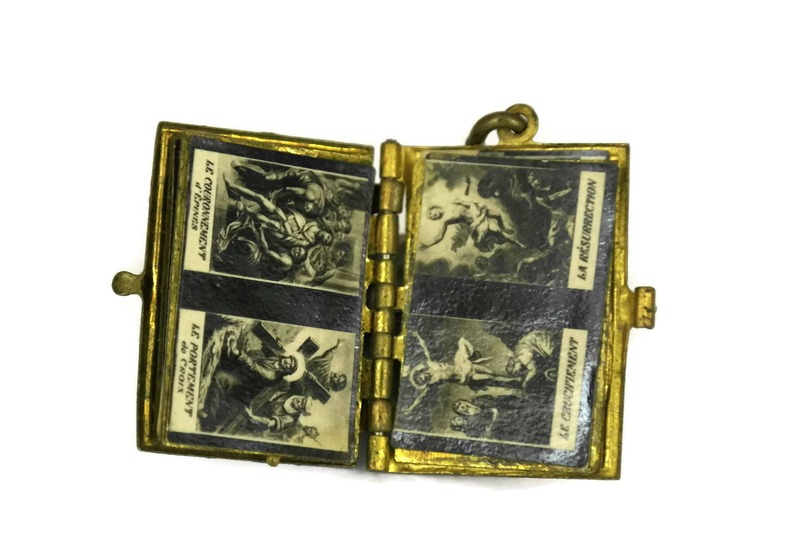 The book has a tiny latch that opens to reveal three moving pages within, which contain 12 tiny pictures of the life of Jesus and Virgin Mary. 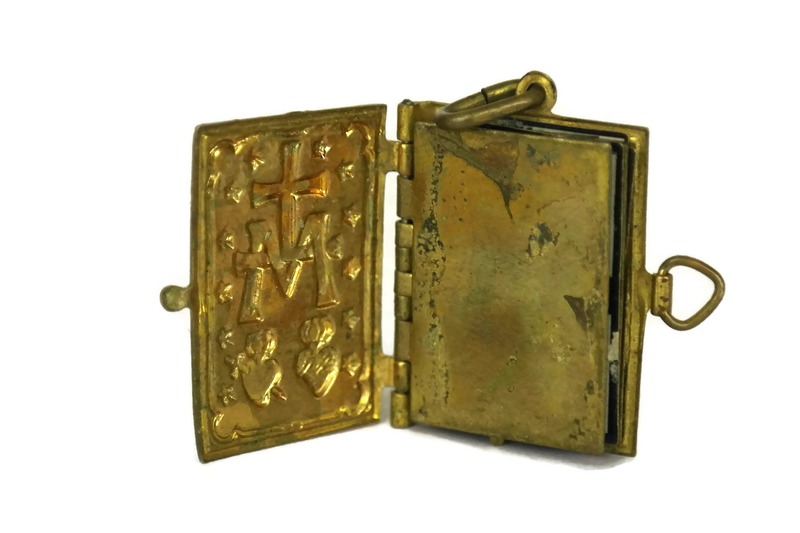 This is a beautiful little Catholic locket that is shaped like a book or a bible. 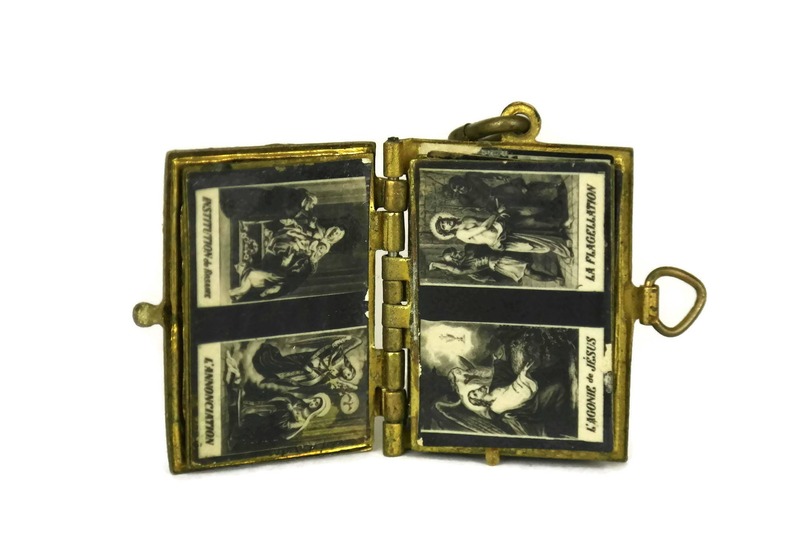 This lovely little locket has 16 small photos that tell the story of the life of Jesus Christ. 1" High, 3/4" Wide and 1/8" Thick (5 cm x 2 cm x 0,5 cm). 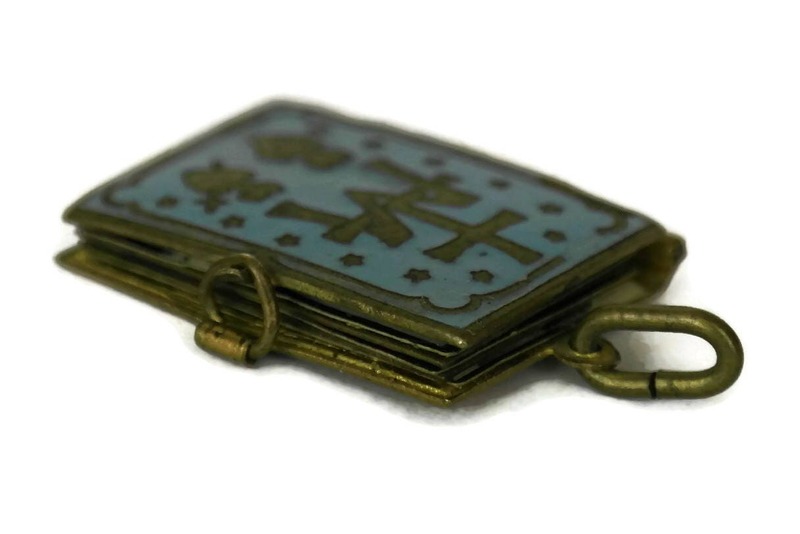 The antique book pendant is in good condition with some signs of age. 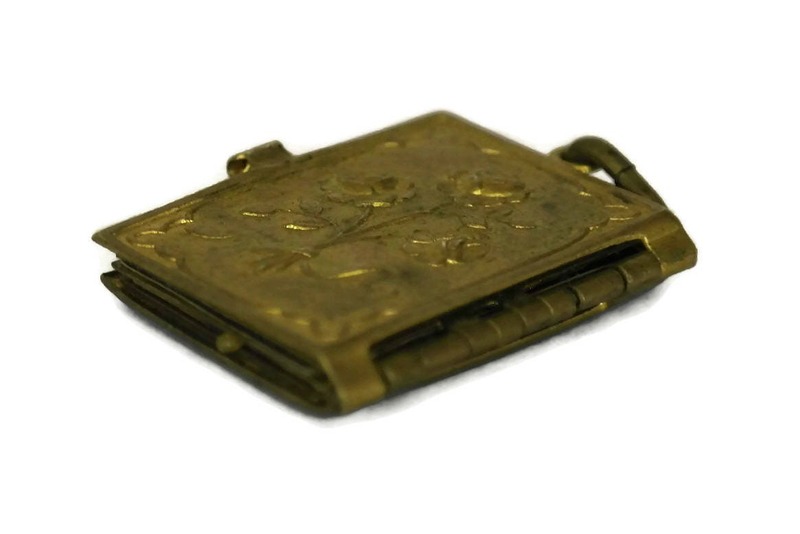 There is patina to the brass and a tiny area with missing enamel on the front cover. The interior is missing the first two pictures (they were originally 16).